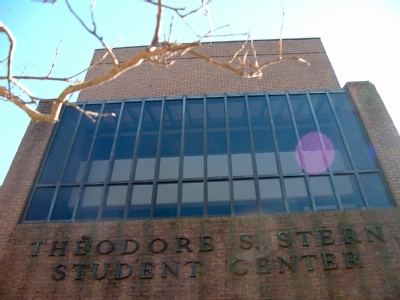 Built in 1974, the Theodore S. Stern Student Center has served as the hub of campus life for more than three decades. 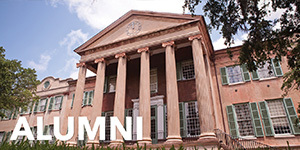 The building is named for former College of Charleston President Theodore Sanders Stern, who served from 1968 to 1979. A $6.1 million renovation of the 57,000-square-foot facility was completed in August 2005. The Stern Student Center features a food court, e-mail kiosks, ATMs, lockers, a canteen area and a game room as well as meeting and programming space for student organizations, on-campus departments and off-campus groups. Behind the building is a private garden and patio with a wisteria-covered pergola. Classes occasionally meet here, and the garden is a favorite student escape for lunch or a little quiet studying. 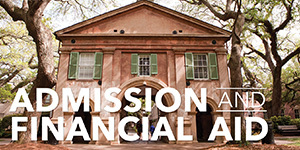 The Stern Center is an integral part of the educational mission of the College. 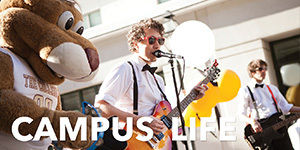 As the center of college community life, the student center complements the academic experience of our students through an extensive variety of cultural, educational, social, and recreational programs. These programs provide the opportunity to balance coursework and personal time as cooperative factors of education. 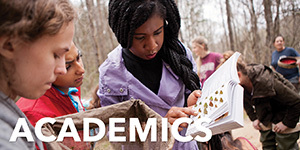 The Stern Center’s goal is the development of individuals as well as intellectuals. 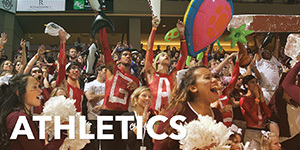 Traditionally considered the “hearthstone” or “living room” of the campus, today’s student center is the gathering place of the College.The Stern Student Center provides services and conveniences that members of the College community need in their daily lives and creates an environment for getting to know and understand others through formal and informal interaction. The Stern Center serves as a unifying force that honors each individual and values diversity. 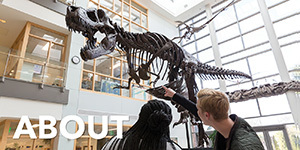 The Stern Student Center fosters a sense of community and strives to create a welcoming and inclusive environment for all members of the campus community and visitors. Sixteenth president of the College of Charleston. When he arrived on campus in 1968, there were 432 students enrolled. During his ten-year administration, the future of the College was insured through the construction of new facilities (including the Robert Scott Small Library and the Stern Student Center), the enrollment of minority and international students, and recruitment of skilled and accredited faculty and staff. He also transitioned the College from a private to state institution. In addition to his role as President of the College, Dr. Stern helped found the Coastal Community Foundation in 1974 and served as the Chairman of the Board of the Spoleto Festival from 1977 to 1985. The Ted Stern Cup, one of the three highest awards given to graduating students who have served the campus community, is named in his honor.